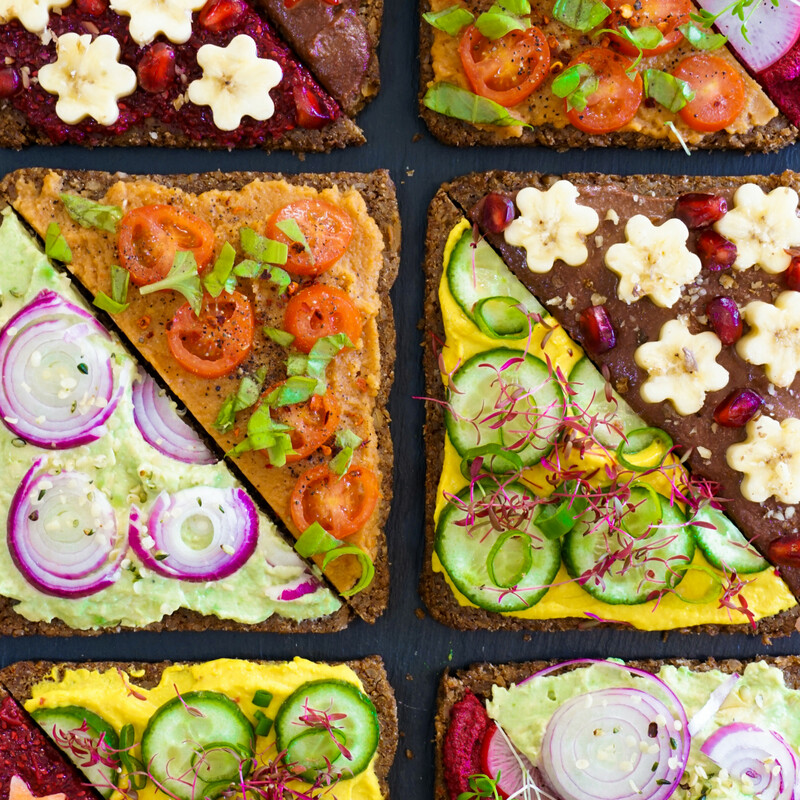 The great thing about all of these 6 healthy vegan spreads is that you’ll only need about 4-5 ingredients each and it will take you only about 5 minutes to make them! How great is that? You can literally whip them up freshly in the morning, prepare the ingredients the night before and store them for later use in the fridge! 🙂 All you’ll need is a high-speed blender and voilà! Personally, I have a very sweet tooth so I like to start my day sweet, but, since many of you guys (including my boyfriend) feel the opposite way I decided to also include a whole variety of savoury spreads. 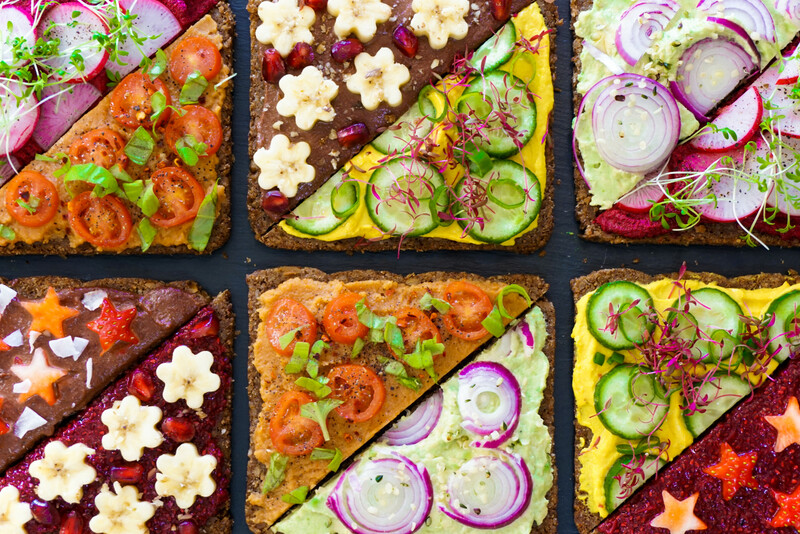 There already are a few amazing and very simple spreads that you can add to the list, like my delicious Cashew Cream Cheese or 2-way-Hummus, but these 6 spreads are next level tasty and a great addition to your daily meals or party platters. 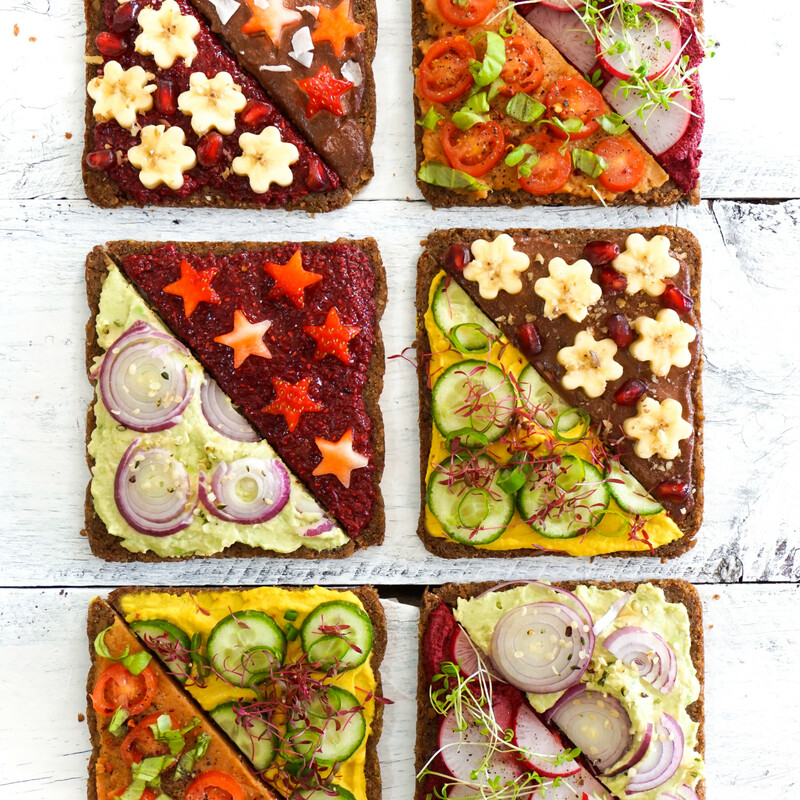 Feel free to chose between sweet & creamy Nutella, cherry chia jam, such as savoury turmeric-bean, avocado-tahini, lentil-sun-dried-tomato and beetroot-sunflower spreads! 🙂 So simple yet so delicious. Of course, all of them are oil-free, gluten-free, wholesome, naturally sweetened and amazingly healthy. And the most fun part, as always, is to decorate them with your favourite fruits, veggies, nuts and seeds. For the Creamy Nutelly, Turmeric-Bean, Beetroot-Sunflower and Lentil-Tomato spreads simply place all the ingredients in a high-speed blender and blend until you got a creamy spread. Adjust spices and water/ liquids according to your own preference. For the Cherry Chia Jam follow these instructions. For the Avocado-Tahini spread, simply mash the avocado with a fork into a creamy paste, add tahini, lemon juice and spices and combine. I want the recipe for bread they are on. Please. Looks yummy. Sorry it’s store bought bread 🙂 It’s called pumpernickel though, maybe you find it! Thank you so much for these delicious recipies. I am excited to try them. I have been a junk food vegan for the last year+ so healthy yummy recipes like these will help me get back on track. 🙂 That’s amazing to hear! You can do it! They all look yu.my will certainly try them. I loved the avocado recipe and so did the grandkids with tons of carrots to boot. Adults added a pinch of red pepper. Thx! Yay! Sounds amazing 🙂 Happy everyone liked it!